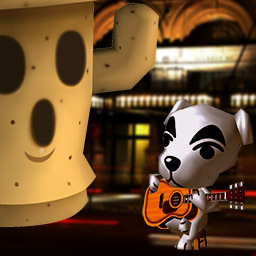 A collection of instrument samples from Animal Crossing. This is a pretty comprehensive collection. Most instruments should be there, though I might have missed some when weeding through all the unlabeled audio files from the Animal Forest ROM. All instruments ought to be in tune and should loop well. There are two formats: SF2 and EXS. SF2 is the "standard" soundfont format and works in a lot of things. EXS is a format used by Apple Logic Pro and really only works in Logic's EXS24 sampler with any ease. This was originally created exclusively for EXS24, but I ran it through an automatic converter to make the SF2 version so more people could use it. I can't guarantee that the SF2 version is up to par because I think a few are missing due to errors in the conversion process and because I haven't tested them all. I tested a few though and they seem to be good. Also the program I used made a lot of .sf2 files instead of one, so sorry about that! If you use this in any cool tunes let me know on Twitter and I'll link it here. A powerful, flexible and completely free dialog extension for use in Stencyl games. 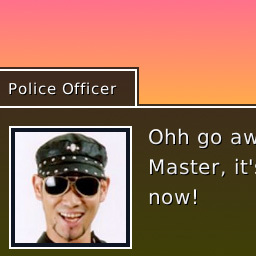 In addition to the in-game dialog system, it also features a user interface for managing dialog and customizing the system to fit your project. This was mostly programmed by my buddy Justin Espedal. 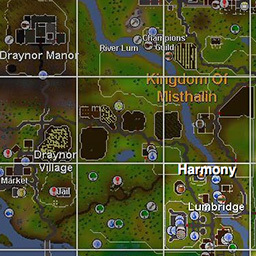 A map of Runescape that lets you click on an area to hear the corresponding old school music. The information is based on this map I found on Reddit, which I found really useful for finding track names for areas, but I thought it would be even cooler if you didn't have to search for it to hear it. The map used is older than what the official Old School Runescape game uses, so a couple islands are missing in comparison.